Dial the number and unhook the handset or press the Dial soft key. Dial soft key. When in communication with the destination, press the Transf soft key. the bxfer soft key. Dial the destination number and press the Dial soft key. soft key.After connection press the Conf soft key again. button and press the Dial soft key. (e.g. +32 2 722 12 34). and without use of short numbering. two parties stay in communication. from Explore or a teleworking connection. 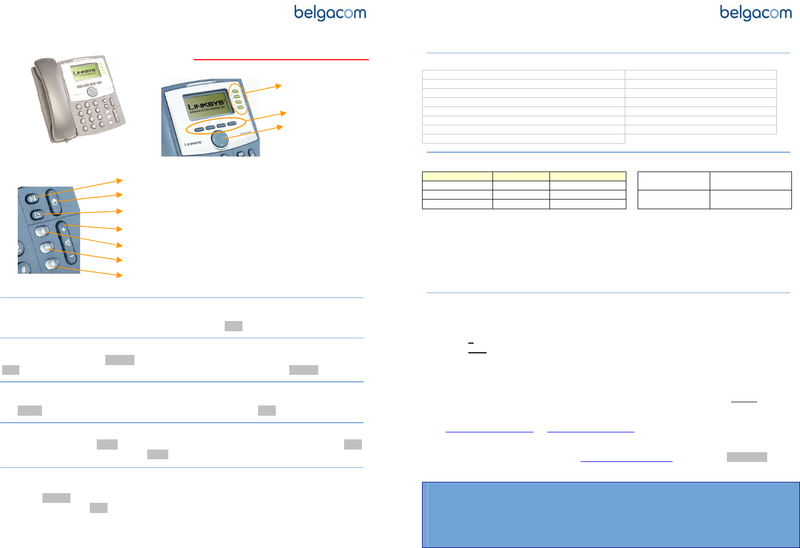 For a complete phone manual, go on www.belgacom.be/its/ and click on products. To report a problem, please contact your administrator: _________________________. ________________________ before calling the 0800 14 888.